Spring weather is finnnaaallly here (it has been a long winter! ), and I couldn’t be more excited to finally be able to run out some energy outside with the kiddos! I think every time I am able to open up the windows after being closed for the season, I get this urge to clean…and purge…everything! 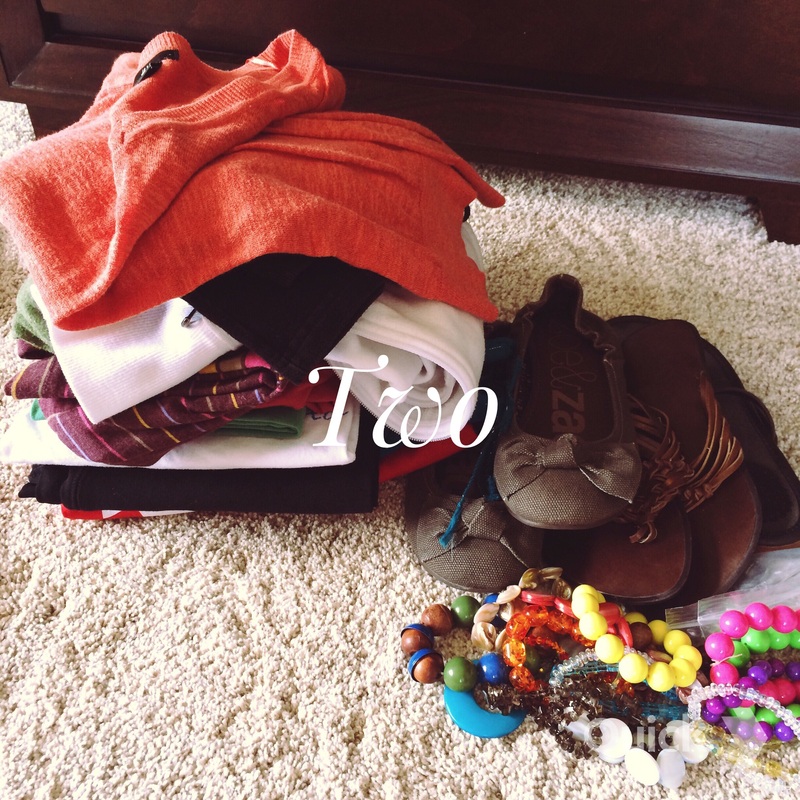 I was in this mood over the weekend and thought I would share how I clean out my closet. I probably still have too many things in my closet that I don’t wear, but I am slowly weaning things out and it feels SO good. Clutter is such an obstacle to living an organized and content life and let’s face it — I think we all have way more than we need if we really think about it. A closet (or dresser(s), bins, wardrobes, etc.) can seem really daunting when you decide to look through each thing. My advice? 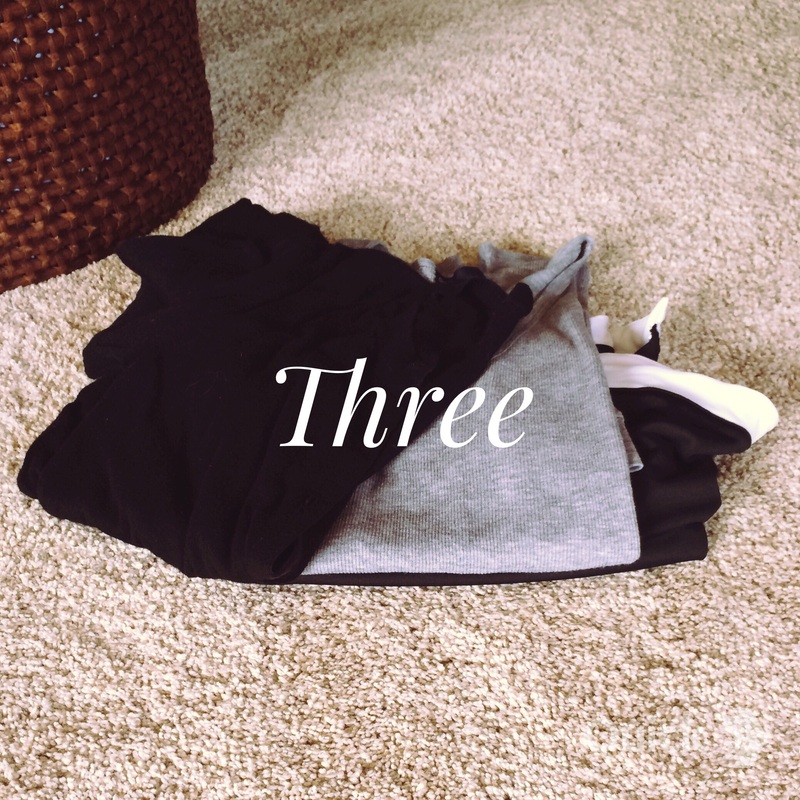 Clean out your closet more than semi-regularly. Do it every season (at least! ), and it will not be an excruciating task. Plus, the more familiar you are with everything that you own, the better you will be able to decide what should or shouldn’t go. If you have a ton of things, a garage sale is also a really good idea. I have never had one myself, but I know they do require some work. But, if you have a lot you think you can sell, and now that spring is here, this might be a great option for you, as well. Donate: Another reason my “to sell” pile was small this time around, is that I really prefer to donate things. And I really like to donate to places other than Goodwill. There isn’t anything wrong with Goodwill, but, I bet if you do a quick search you will find many local shelters and charities in need of items. I donate most of my clothing and shoes to a local women’s shelter — these women literally have nothing and I have way more than I need. It is also always in the back of my mind when I am deciding whether to keep something or not. It’s easier to let things go when you picture that sweater that used to be your favorite being worn by someone who really needs it — instead of it just sitting in your closet unworn. So, find a charity you can get behind, and give to them! Ponder: This pile has to be small. That’s the rule, with this method! 😉 But really, this pile should be for things you are really uncertain of. Things that might not fit right at the moment but maybe could after a new workout program, or after you are done having babies. Whatever the reason, put them aside somewhere for a season. 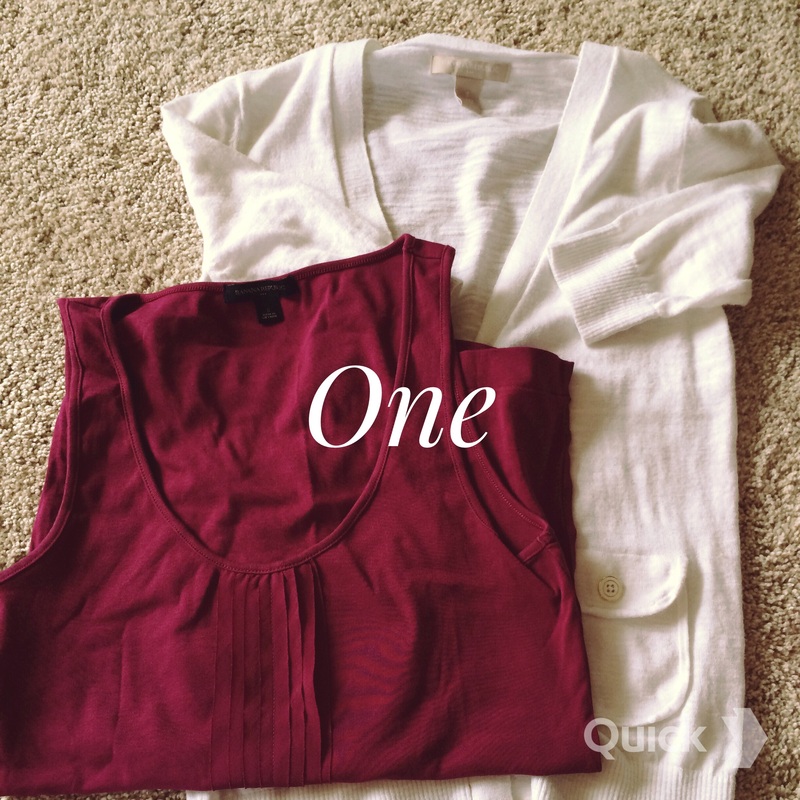 For example, I put aside a couple of sweaters that I really liked, over the winter. If you don’t find yourself looking for them and if you don’t even remember they are there, get rid of them! Don’t let this pile grow over time. Purge every season and only allow yourself a few items in this category. Trash: There are going to be some things that you can’t donate and just don’t want to keep (like old socks). Just toss those items and move on! Don’t overlook things! Remember to look through your jewelry and shoes and scarves. 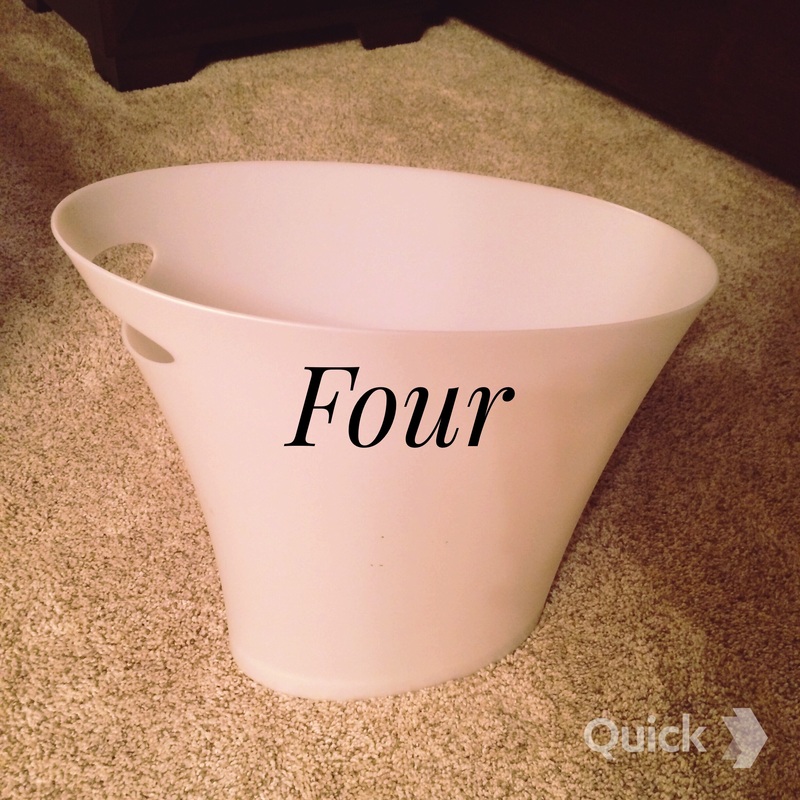 Don’t forget about bins that are higher up and out of sight, or coats that might be in a different closet. Really try to think about what you need. I know that truthfully most of the clothes in my closet would not be categorized as a “need”. But, the less you have, the more often you will be wearing what you really feel good in and that will honestly shine through to your overall mood and presentation. It will make deciding what to wear and getting dressed each day easier, which as a mom, is a huge bonus! What’s the worst thing that can happen in this situation? You get rid of something you end up looking for later on. This is highly unlikely. And if you do? Go buy a new one! If you can’t get rid of that pink t-shirt because you might just wear it again …couldn’t you just go buy another pink t-shirt if you are desperate? That’s my take on it. And honestly, I’ve never once had to go buy a replacement for something I previously purged. It’s okay to be conscious of the season of life you are in. For instance, I am a mom to two, and my body and wardrobe have changed over the past few years. I have some jeans that I wore pre-pregnancy and post and while I am not wearing them now, I also don’t want to toss them just yet (we are undecided as to if there will be more pregnancies in my future!). And that’s okay. Know what you have, and keep limited amounts of things that you know you will actually wear again. I really hope this is helpful for you as you think about the arrival of spring! 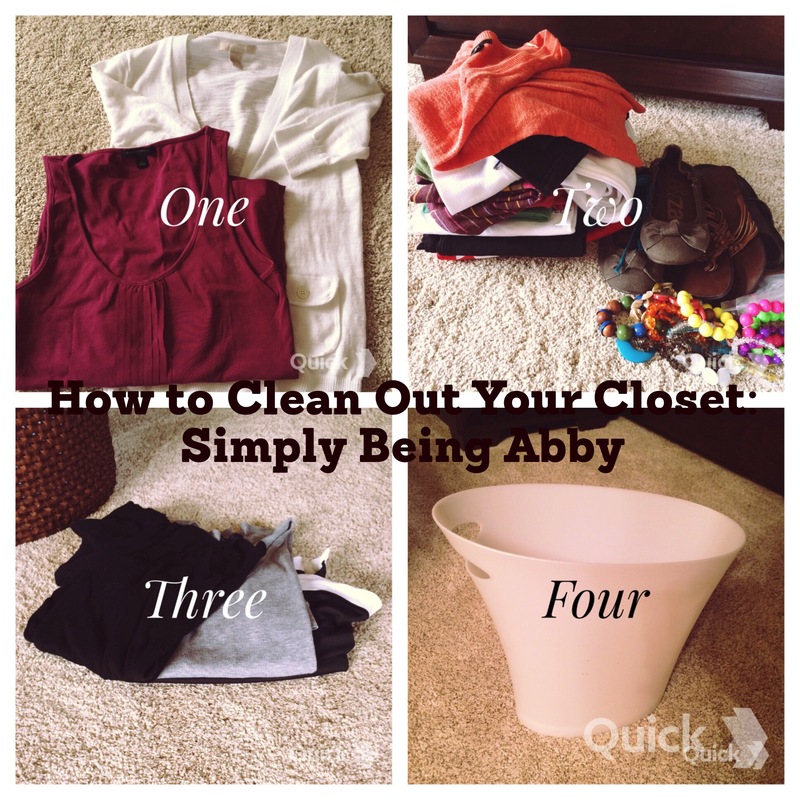 How do you like to clean out your closet? I’d love to hear your tips! I have the worst time with this. I either think I’m going to need it again someday, or I get nostalgic and end up unable to part with anything. >< Gaah. I used to be the same way! That nostalgia is hard to ignore!